Asahi Kasei's polycarbonatediol contributes to improved performance of polyurethane. 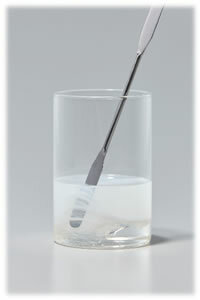 Dispersible in water or solvent. as well as self-healing of your products. DURANOL™ is a polycarbonatediol (PCD) developed by Asahi Kasei. The polyurethane using DURANOL™ has excellent durability, hydrolysis resistance and chemical resistance, and contributes to improved performance of polyurethane products. DURANOL™ offers a wide variety of applications such as paint, leather (synthetic leather, artificial leather, etc. ), elastomer, and adhesive as a raw material of high-function polyurethane resins. In addition to the applications other than those listed above, DURANOL™ can be used and considered.